Saudi Arabia, and indeed the rest of the Gulf countries, have signaled their intention to tap the international capital markets at record levels in 2019. But there is a risk as the year goes on that those markets will be more demanding, and may charge the issuers more for their services. The Kingdom was the first one into the global debt markets earlier this month, with a $7.5 billion bond offering that was instantly snapped up by international investors. It was a clear sign of two things: First, that all those international roadshows of last year — especially in the US, the world’s biggest bond market — had paid off; and secondly, that there is still a good appetite for the Kingdom’s financial offerings, which some analysts had suggested would be weakened by the international storm over the murder of journalist Jamal Khashoggi. Bonds are a pretty straightforward proposition. The buyers look at the coupon and the terms, and decide more or less mathematically if the issue is attractive. You should not draw too many conclusions about the appetite for more direct forms of foreign investment, such as joint ventures or acquisitions, or participation in the Kingdom’s privatization program. But the bond sale was a good start for Saudi Arabia, and looks certain to be the first of many offerings this year. Saudi Aramco has already said it will seek to raise international capital, most likely to help finance the acquisition of a controlling stake in Sabic later in the year. 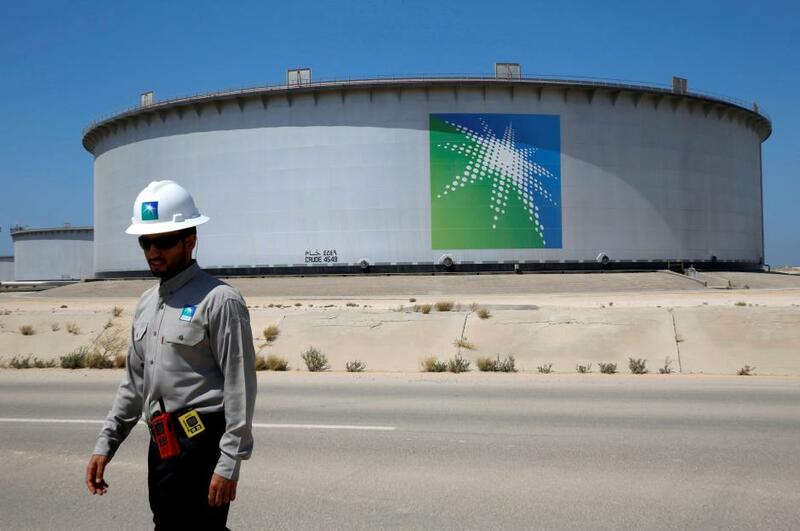 It is unlikely Aramco will try to borrow the whole of the estimated $70 billion cost of that deal; indeed, Aramco chairman Khalid Al-Falih specifically talked down some of the wilder talk about the size of the bond. But Saudi Arabia will undoubtedly come in earnest to global capital markets. This continues a trend that began round about the time oil prices started to plummet in 2014. In the past two-and-a-half years, Saudi Arabia has sold nearly $60 billion of bonds, making it one of the biggest emerging-markets issuers in the world. Saudi Aramco has already said it will seek to raise international capital, most likely to help finance the acquisition of a controlling stake in Sabic later in the year. Of course, those two events — falling oil prices and debt issuance — are closely connected, and they are also the reason why credit could get tougher for Gulf issuers later this year. In a nutshell, there is no certainty that oil revenues will be sufficient to fill the gaps in public finances created by ambitious government spending plans. The Saudi budget for 2019 projected a 7 percent increase in government spending this year. Some analysts deduced that the budget assumed an oil price of around $80, a price that would be sufficient to maintain the fiscal deficit at current levels. Some predicted that $95 per barrel would be required to balance the budget completely. Most experts expect oil to remain in the $60-$70 band this year. Of course, there are a huge number of variables that could change this one way or the other, but a marker price of around $65 seems reasonable. At that level, the Saudi deficit position will deteriorate in the course of the year, putting pressure on the Kingdom’s sovereign balance sheet. This is not such a bad thing. The Kingdom has decided where its priorities lie, and has decided a relatively high level of government spending is necessary and desirable at this stage in the economic cycle. It is the policymakers’ call. But the bond markets will pay heed to the trend. In a recent report, Fitch Ratings — one of the big international ratings agencies that are expert at these things — said that it expected high levels of fiscal expenditure to be pared back in the course of 2019, should oil prices remain roughly at $65. The bond markets can help compensate and keep government spending on track. But they will exact a price for their help. Any deterioration in the fiscal positions in the Kingdom and other Gulf economies would negatively affect the issuers’ sovereign rating position, making debt-raising more expensive for them. The lesson for the Kingdom’s financial policymakers is that they should probably go to the international markets as early as possible in the year, and go in a big way. Saudi Aramco may not be about to set international bond records, as Al-Falih has indicated, but the Kingdom might just test its own previous best — a record-breaking $17.5 billion bond issuance in 2016.